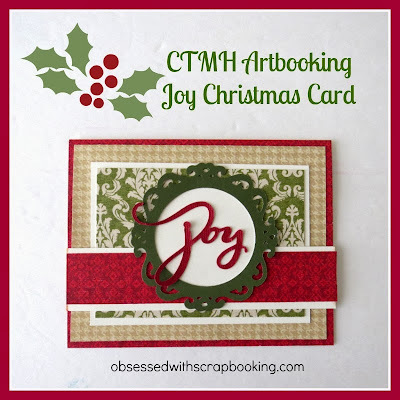 Today's fast Christmas card features some of my favorite Cricut cuts from the Close to My Heart Artbooking cartridge! 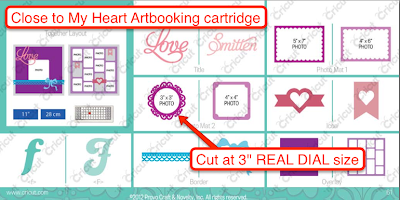 I decided to put a little something on the inside - I love that Ornamental Cheer stamp set (and it coordinates with the Close to My Heart Art Philosophy cartridge too!). This would be an easy card to mass produce! I have all the sizing of the pieces in the video so be sure to scroll down and watch it! and CTMH Cranberry Ink (click HERE to find out more). 1) Leave a comment below - What do you want for Christmas that is crafty? Winner will be announced on November 23, 2014 and has two weeks to claim prize. U.S. Residents only, please, over 18. Void where prohibited. 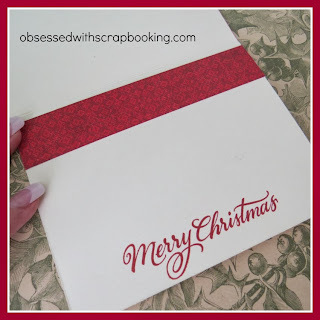 Great Christmas card and it doesn't look too difficult to make! Thanks sharing your card idea. I want an IPAD AIR2 to create on for my Explore. I love your card is just so beautiful. You really did one fabulous creative job too. The Artbooking cartridge is so much fun!! YOU totally ROCK the CTMH cartridges!! I would love to get one of the CTMH cartridges, but I can't decide on one. I have played with the Artbooking one and enjoyed it, but I was leaning toward the newest one. However, you make the cutest cards with the Artbooking one! Decisions, decisions! Do you have a favorite? I love the pretty card today, and of course, it was made with Artbooking! What a pretty card! Thanks for sharing. I don't really have any specific craft items on my Christmas wish list--what I really need is a little creativity to use the items I already have! I would love a new l shaped desk for my craft room for Christmas. I have two old desks in there now one to hold my computer one to craft on. It works but I have to move my chair back and forth between them. I love looking at your site and at all you great videos! Like the Christmas joy card. I told my hubby I wanted the new Cricut Explore if it goes on sale day after Thanksgiving Sale. A Cricut Explore would be nice. 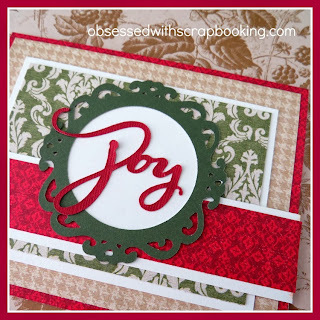 Beautiful card Joy! I want a Cricut Explore. I'm hoping Santa has been listening. Love your JOY card. (I don't have a Cricut (can you believe it?) so that's at the top of my list. Thanks for you giveaway. I want a Scrap Box for Christmas! So many crafting supplies and so little space! Thanks for the chance to win! I love my Cuttlebug, but would like a Spellbinder Grand Caliber because of the wider opening for larger folders. I hope Santa hears me!!!! :) I just love embossing and die cutting. I want a lot of crafty goodies for Christmas, but mainly wish I had the time to use them! 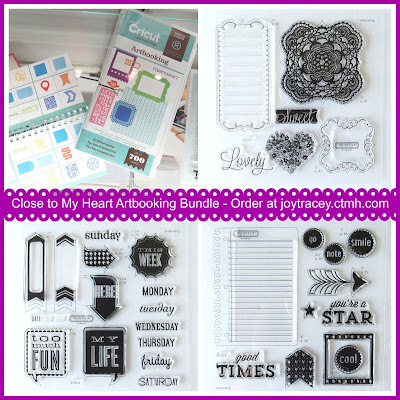 My craft wish list would include dies and stamps though...always love those! Beautiful Christmas card! Thanks for sharing. Lovely card! I would like any cartridge or some dies for Christmas. Thank you for the lovely card Joy! 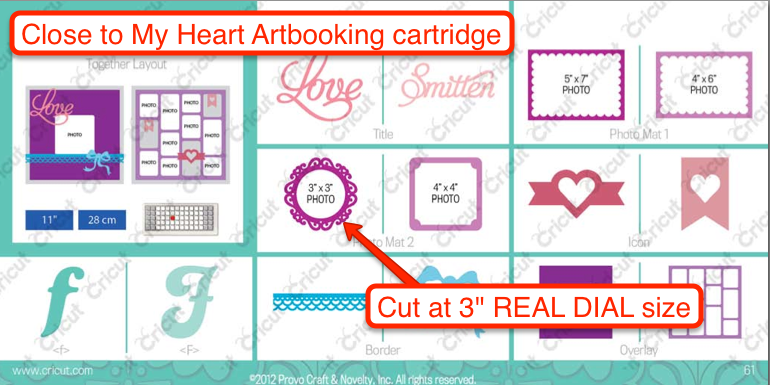 I'd love the new CTMH Cricut Cartridge for Christmas, but my husband hasn't taken the hint! There are several parking spots to accommodate loading and what not and there are several trolleys available to move small and large items in and out of storage unit. Thank you Joy for the Video. The Video's are great and I can refer back to them at any time. I was looking for a pretty Christmas Card that would be easy to mass produce and your card is just what I have been looking for. I cant wait to go home and get started. I hope that I can win your rare stamp giveaway. That would make my Christmas Cards even better to have a cute stamp to put inside the card. My crafty wish is for lots of Cricut Mats and blades and card stock so I can make lots of cards and gift tags for Christmas. Merry Christmas Joy! I hope you get your Crafty Christmas Wish. Love your card!!! I wish everyone a joyful Xmas!!! Beautiful Christmas card. Thank for the inspiration and ideas. Such an elegant card! I have been checking out "Perfect Ruler", not sure if you have seen it, but I've had my eyes on it for a while. I've been holding out hoping it would show up at one of the local crafts stores, but that hasn't happened yet. It's such a multifunctional tool! Thank you for sharing your beautiful card! I really like your blog and YouTube channel. 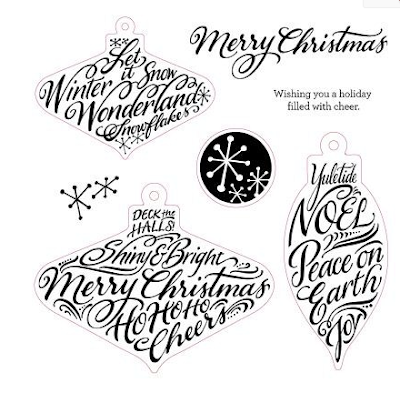 My Christmas list includes the cricut explore. The design space looks like a great tool and wish I could use it with the express. Thank you for the fun ideas you share. Love this card. my wish list is an expression 2 machine. it is my understanding that explore has to connected to my computer and I can't use my cartridges. my computer is not in my craft room. Thank you so much for your videos, I watch them all. I would like more time for crafting! Thanks for inspiration. Freezing right here in the Dallas area with you!! That is a great Christmas stamp set. I am totally obsessed with Christmas stamps! I'm wishing that I could win an Explore to donate to the local senior citizens community where I teach card-making. I think the ladies I work with would have SO much fun with an Explore!!! I keep entering contests to win one, but no luck yet! I'll just keep working on it! Love it all. Please pick me! I enjoy working with all the cartridges and would love to add to my collection. I enjoy your website and your you tube channel. So inspirational. Keep em' coming. Thanks for all you do to help us be creative. What an awesome card! Would love it if you shared the file for DS! Just saying! We have snow flurries here in Southwest VA tonight and very cold temps. I love the Joy card from the Artiste Cartridge...especially the patterned paper. Very quiet and allows the natural grace of the season shine through. My most fav casserole is something my mom in law taught me. I had never heard of it before and it is a crowd-pleaser. Its called "Mexican Rarebit". Very comfy and cozy in front of a fire in a big ole chili bowl with some freshly grated cheese. 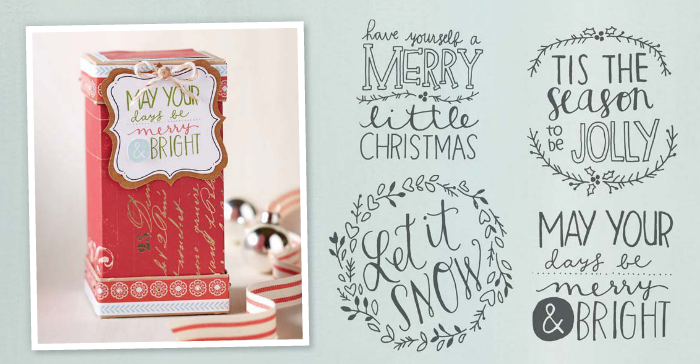 Pretty card, and I LOVE that gorgeous ornament stamp set! For Christmas, I am hoping for lots of new dies!